In Escape from Durgesh Prison, Ajay and Hurk wake up after being captured, tortured and stripped of their weapons in Yuma’s prison. 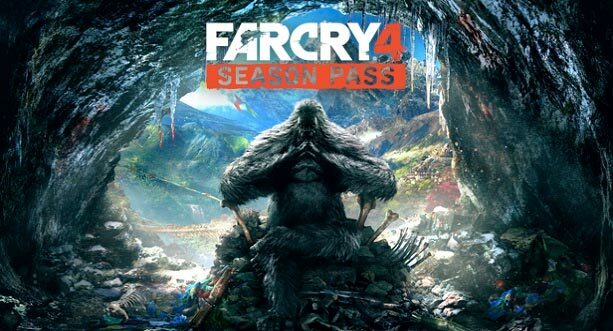 Thrown in the dangerous world of Kyrat without anything to defend themselves, players will complete a series of challenges to find weapons and unlock new skills while trying to reach the extraction point to safety. Playable in single player and coop, this difficult mode will keep players running across Kyrat to complete side objectives dictated by Pagan Min to recover their lost weapons and upgrade their gear before a final stand-off with Yuma's forces. To ramp up the challenge, when players die they must start the mission over again and use the knowledge and skills they gained during their previous run through to help them reach their extraction point successfully. The Syringe – Already available exclusively for Season Pass holders, players must keep a rare and potent recipe from falling into the hands of Pagan Min’s forces. Playable in single-player and co-op, players will need to ensure that Pagan Min does not use its devastating effects on the rebel forces. Escape from Durgesh Prison – Available on January 13th 2015: The player and a fellow captive have been rounded up and tortured in Yuma’s prison. Players will have to escape from the prison and survive the hostile lands of Pagan Min’s Kyrat.